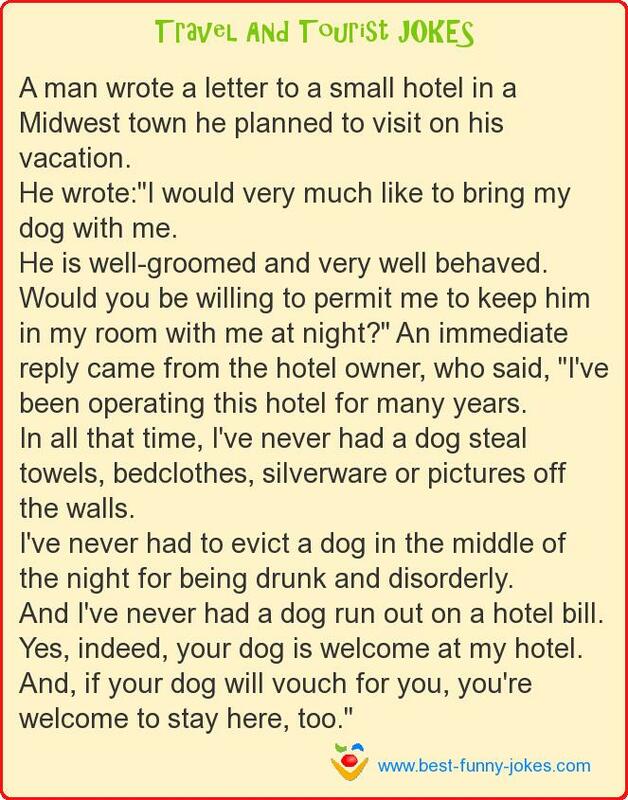 He wrote:"I would very much like to bring my dog with me. He is well-groomed and very well behaved. Would you be willing to permit me to keep him in my room with me at night?" An immediate reply came from the hotel owner, who said, "I've been operating this hotel for many years.